The owners of a historic home in the Spanish Revival style wanted a grand master bathroom as a respite from their busy lifestyles. The original bathroom had been remodeled in the 1980s with little thought given to how its design fit with the historical nature of the home. The new master bathroom needed to align with the original character of the early 1900’s home, while providing modern function, convenience and luxury. The remarkable transformation of this room gave the clients the grand master bathroom they had dreamed about, with all the storage and modern luxuries they desired. 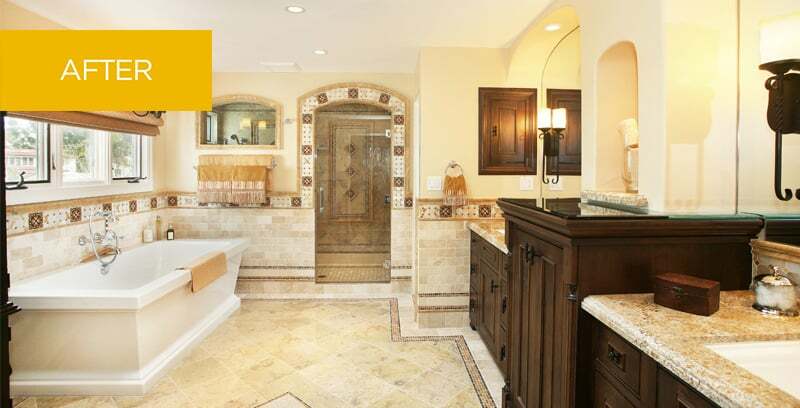 A beautiful room on its own, the master bathroom also seems as if it has always belonged in its historical home.